1st floor, 9 Roberts Building. 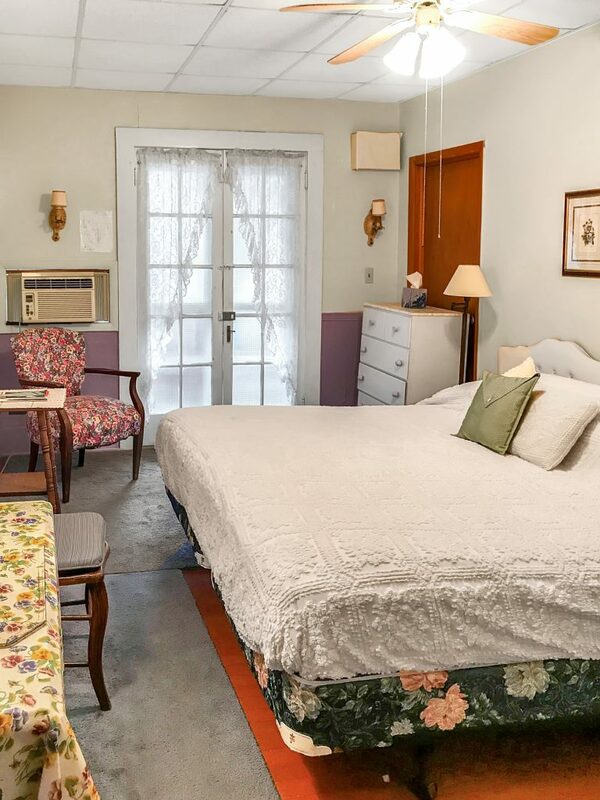 [building entrance is 6 steps up from street level] One room, A/C and ceiling fan. 1 king bed, 2 dressers, cushioned chair, drop leaf dining table and 2 chairs. 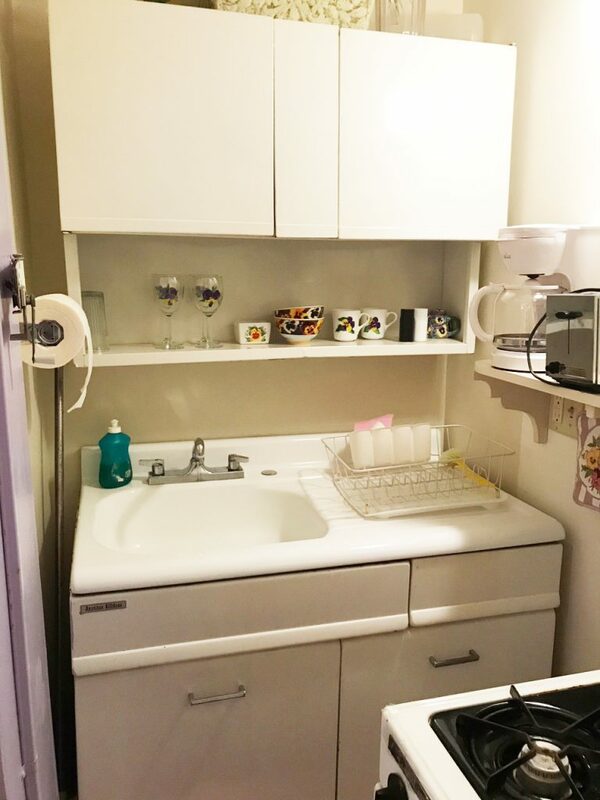 Small kitchen with sink, stove, refrigerator, microwave, coffee maker, toaster. Private bathroom with stall shower. Each person is provided with 2 bath towels and a face cloth. 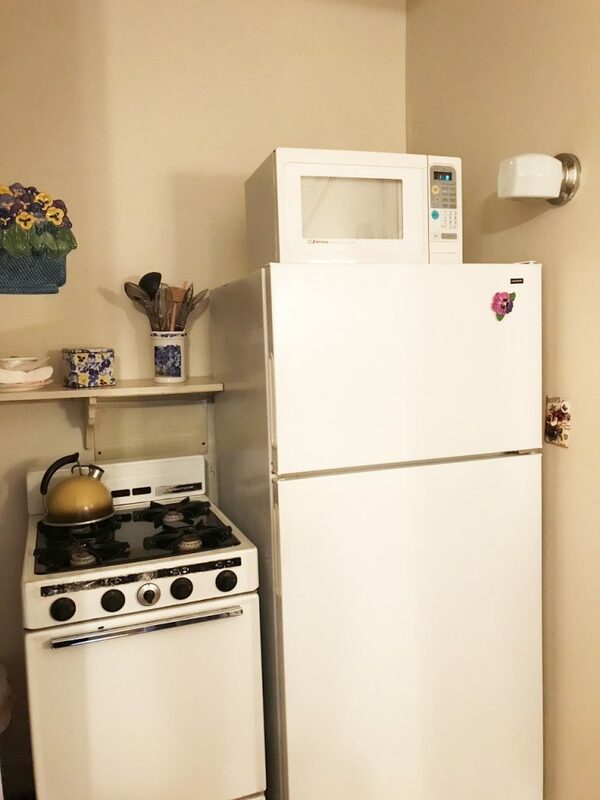 This is a very small efficiency, much like a motel room in that it has natural light only from the French doors at the entrance end of the room. There are many lights in the apartment. Adjacent to shared enclosed porch. Additional shared covered patio behind this building. 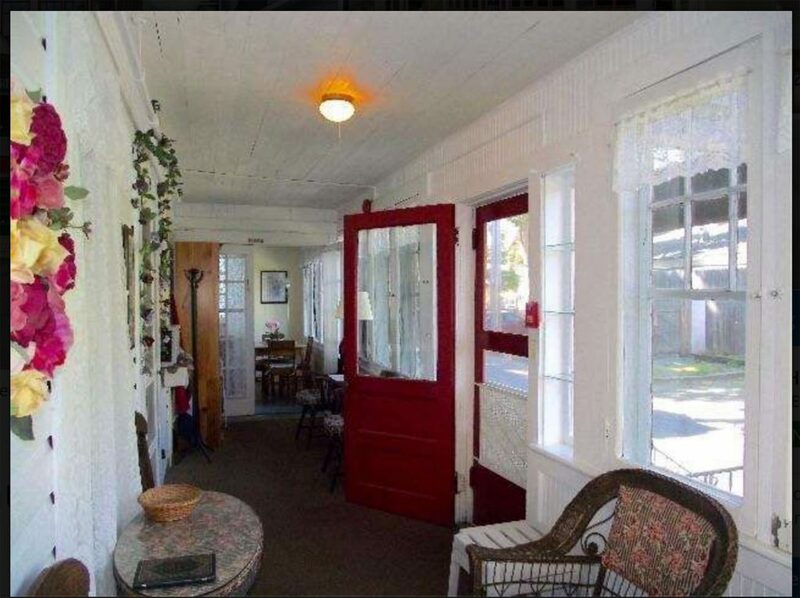 Open shared patio outside front door. Daily maid service is not included in this price.